Ringling Bros. circus is closing down after more than 100 years in operation, according to a press release from Feld Entertainment, which has owned the circus for the last 50 years. performances in May of this year,” CEO Kenneth Feld said. alleged violations of the Animal Welfare Act. 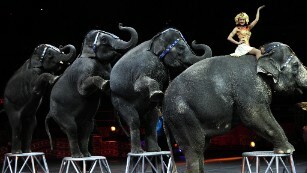 Ringling Bros. was founded in Baraboo, Wisconsin in 1884 by five of the seven Ringling brothers.